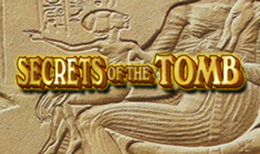 Head back to the tainted tomb of Tutankhamun to unleash the secrets of a hidden past in the online 5 reel 30 payline slot game. Enter the tomb for your chance to win free spin bonuses and mystery stacks. How many online slots have you seen in the past that plays upon an ancient Egypt theme? gameplay and it’s design. Symbols and overall aesthetic all lean on the Egyptian theme very nicely. pay-outs for the player to enjoy. share that vision would have been a crime in itself. 9/10 Another slot game is waiting for you to play click here to see. Discover more Casino games in our Homepage.